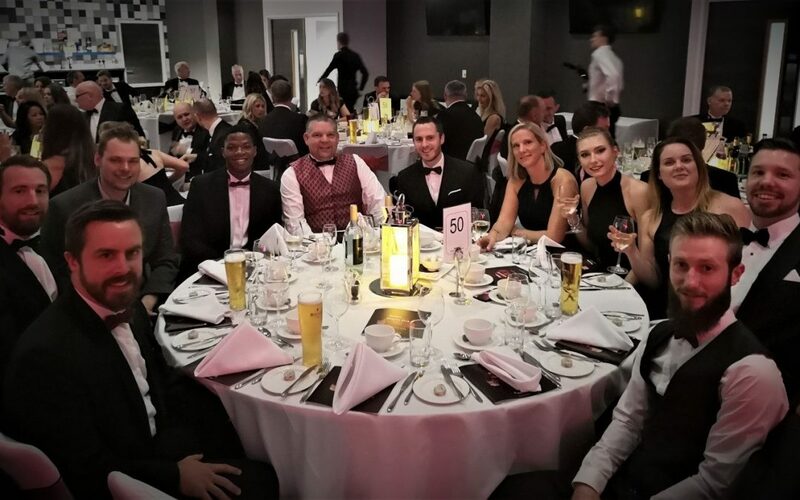 Cubik Innovation attended the business leader awards held at Ashton Gate on 27th September 2018. We were nominated for Business in the community, against some tough competition including Ashton Gate (Bristol Sport) and Andrews Property Group. The evening started off with a Champagne reception, following this we were seated, and food was served. Once service had finished Russell Kane came on stage to ‘warm the crowd up’ prior to the awards taking place. He took a special fancy to our Swede; Camilla, during his act. It was a fantastic evening from start to end, not only did we love getting glammed up but also the chance to network with a variety of companies. Unfortunately, we didn’t win our category however it was a pleasure to have made it into the final. A lovely evening was had by everyone who attended.